Students could not help but express their “aha moment” upon hearing for the first time some of firsthand information on the milestones in UPLB’s history. At the lecture entitled “Loyalty Day and the institutional history of UP Los Baños” on Apr. 5 at the NCAS Gallery 1, Dr. Fernando A. Bernardo, former dean of the College of Agriculture (1973-1974), gave a glimpse of UPLB’s past, some of which he himself witnessed and played a critical role in. Dr. Bernardo, a plant breeder and an institution builder, authored historical books after his retirement, including the “UPLB: a century of challenges and achievements” that was published in 2007. In his lecture that lasted for more than one hour, Dr. Bernardo provided an overview of student profile in the earlier decades of UPLB that started as the UP College of Agriculture (UPCA) in 1909. He talked about the planning and implementation of UPCA’s Five-Year Development Program (FYDP) that improved the campus facilities in the 1960s, and how the college was given autonomy in 1972. In his discussion about the FYDP, for which he was one of the prime movers, Dr. Bernardo told an anecdote about helping secure the $8-million loan from World Bank for the said campus development program. “If we will make a hen lay one more egg every day, the Philippines will produce enough egg to pay back for the loan,” he recalled telling World Bank representatives, as an analogy to the productivity that advancement in agricultural knowledge would bring to the country. 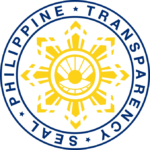 The loan, which was payable in 25 years, was approved and this, he said, inspired other universities in Southeast Asia. “That was a breakthrough because after that, many countries applied for loan to get World Bank support for universities,” he said. The FYDP built some of the notable infrastructure in the campus, such as the AG Samonte Hall, the Development Communication Building, the Biological Sciences Building, the Physical Sciences Building, the Student Union, and the DL Umali Hall. He also took a trip down memory lane on how he spearheaded the movement for UPCA’s independence from Diliman, which concluded with the creation and autonomy of UPLB through Presidential Decree No. 58 on Nov. 20, 1972. Dr. Bernardo also told the Loyalty Day history, which originated from the enlistment of UPCA faculty members, staff, and students to the Philippine National Guard on Oct. 10, 1918 to fight for World War I, but were not able to go to the actual war because armistice was declared soon after. He proposed that Loyalty Day, which has become an annual alumni homecoming event, be renamed to “Los Baños Spirit Day” in reference to how Adjutant General Jones called the enlistment as a “college spirit” and to capture the spirit of cooperation and collaboration among UPLB graduates. “It was the spirit in Los Baños that made the students and faculty volunteer when they were called to volunteer,” he said. He also testified how UPLB alumni live up to the “Los Baños Spirit” in the places he has been to, where each offers help and hospitality to one another. 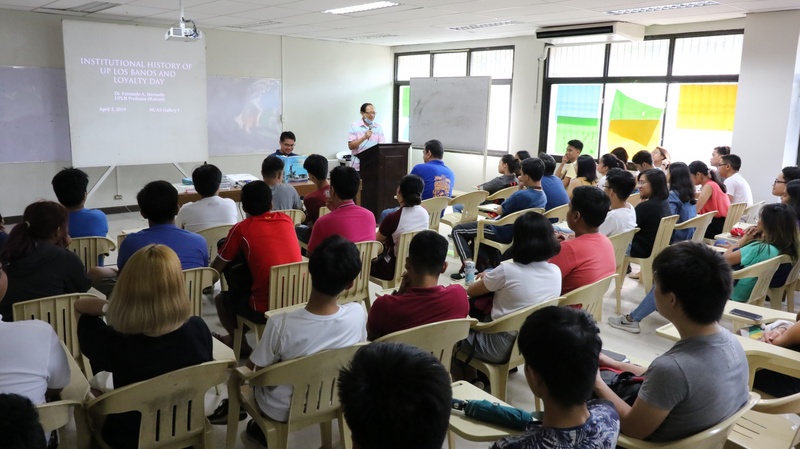 The historical lecture was part of the College of Arts and Sciences Social Science Month that the Department of Social Sciences (DSS) is observing this April. DSS Chair Dwight David A. Diestro, an associate professor in history, was present during the learning event. “We should really have activities like this often and in a bigger venue, so that the gems who are with us would still share their insights so that there will be continuity in our consciousness on how to be UP, how to be UPLB, and how to be, of course, Filipino,” he said.